Who is on the Hulbert Bros recommended guide list??? Marc Thorpe sits on the top of the list, for good reasons! Fishing with Marc Thorpe resulted in the trip of a lifetime. 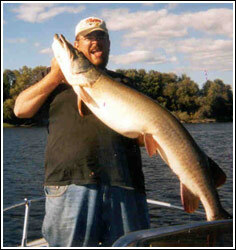 I realize how hard it can be to land a musky 50 inches or bigger. I have gone days without catching one fish of any size, and years without catching a 50". That all changed my first time in the boat with Marc. Marc put us on fish every day of our trip. Each day was a new and different experience. We fished different bodies of water that produced unique fish to each system. The results were phenomenal. We landed a 55", 54.5", 54", 53", 2 50", 2 49" and too many 40"-48" fish to keep track of. Marc pulled out all the tricks to ensure we would have a good time. He's a wonderful person to hang out in the boat with. All of the experience he has fishing gives him a wealth of knowledge that he shared with us throughout the trip. 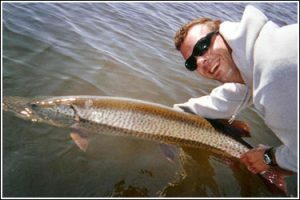 We learned alot about musky fishing from our trips with Marc. Having fished with numerous guides across North America, I have enjoyed fishing with all the guides I have hired, and they all have put me on fish. However, I have never experienced fishing like this, no where, EVER. Marc has a hard work ethic and treats his clients with respect. He was constantly watching out for our safety and making sure everything about our trip was enjoyable. 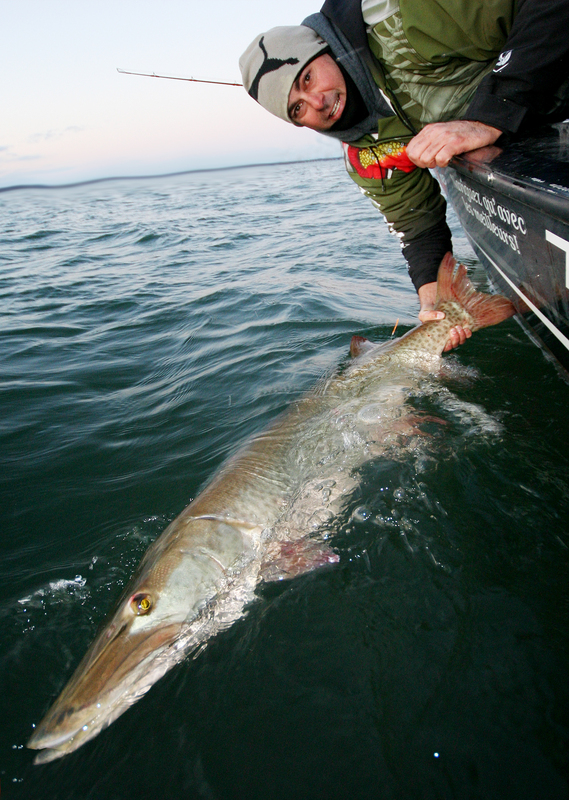 Marc Thorpe Guiding has earned a permanent spot in my musky vacation schedule. Thank you Marc, for the fish of a lifetime and all the good times, I'll be back again and again and again. I've never shared a boat with anyone who works so diligently to get you on fish, the precision and attention to detail is what truly amazes me. The fun never ends when you're fishing with Marc Thorpe. If you ever have the chance to fish with Mark. DO IT ! The knowledge he has about muskies is incredible . I was holding my first fish over 50 the first day out. He just wont stop! You will be counting the days until your next trip (literally). Marc may not guarantee you'll catch a fish, but I'll guarantee he'll do everything possible to try and find one for you. I joined Marc last year just after the hurricane went thru Quebec and practically made the waters in the area unfishable. We had water the color of mud and 20 foot trees floating on the rivers to contend with. Marc said at the beginning that it was gonna be tough finding fishable water, but he'd keep looking till he found it. For 2 days we'd launch the boat, try a few spots and then have to move on. He was in constant contact with other people on the waters and as soon as he heard of some decent, fishable water, he said OK, lets go, now we've got a shot. Sure enough, he found what he was looking for and his plan worked. After only a very short time, he did what he said he would and put me onto a 54.5" beauty. He persevered and we put nearly 500 km on the truck looking for that one good spot. Once he found it, he also found the fish. The man's a Pro who really works hard to put you on a fish of a lifetime & knows his stuff. He also knows the waters and the musky hiding spots inside out. Thanks Marc for a great weekend. 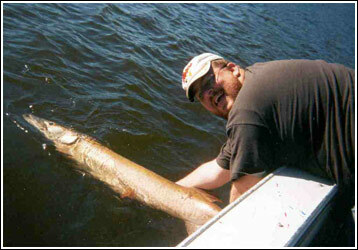 I'd recommend Marc Thorpe Guiding Service to anyone who wants to experience the BEST that musky fishing has to offer. Fishing with Marc Thorpe was an experience that I'll never forget. Not only did we land 8 fish over 30 pounds in 6 days of fishing, including 3 fish 54" and bigger, but we had a great time in the boat. Marc is a very personable guide, and is willing to show you the in's and out's of his craft. The fishing was fast and furious, but in six days of fishing, there were times that the fish weren't hitting. But that didn't mean we weren't having a great time in the boat. 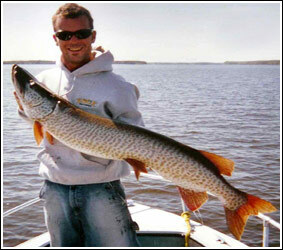 Marc is obsessed with muskies and can talk about them all day. Marc is a catch and release fanatic. And once you experience that fishery, you'll see why. It's very special. He makes sure he does everything possible to minimize stress to the fish. My brother and I are very conscientious release fishermen, and we learned a few things from Marc that week. We were catching so many big fish, that anything under 48", we shook off with the pliers!!! The fish never came out of the water, to avoid stress to this incredible resource. If you're looking for a fish of a lifetime.....to catch it, not just seeing it lazily following your bucktail, book a trip with Marc. May the yearly outings be numerous and as great as the previous ones! Before I started taking guided trips, I was told to get all of my questions ready so that I would learn as much as possible. 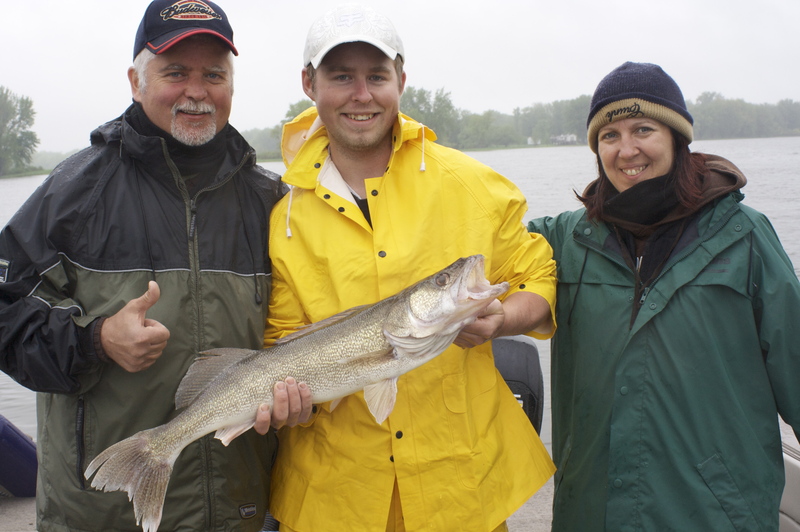 When I fished with Marc for the first time in 2002, his research, hands-on experience and time on the water enabled me to acquire the equivalent of several years of fishing information within just a couple of days. Marc is much more than just a musky nut who treats muskies as mistresses, who seems to have theories that no one would believe in (and that work!!!) and who has this uncanny ability to get the big ones. Marc is now a friend.